Both an iconic feat of British colonial architecture and until recently a decaying, mysterious presence in the city, the Secretariat building in Yangon, Myanmar (Burma), is starting a new chapter. The Secretariat was the site of tragedy on July 19, 1947, when national hero General Aung San, who paved the way for Burma’s independence from British rule, was assassinated. 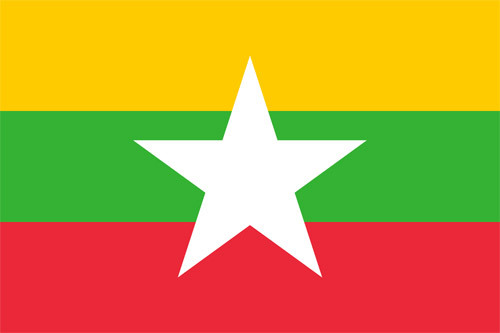 The assassination occurred six months before independence, when Aung San – Premier of the British Crown Colony of Burma – and six of his cabinet ministers were gunned down during an Executive Council meeting by a gang of armed paramilitaries acting for a rival political group. The day of the assassination is now commemorated as Martyrs’ Day and is a national holiday. General Aung San’s daughter is Aung San Suu Kyi, Nobel Peace Prize winner and Myanmar’s first State Counsellor, a position akin to a prime minister. In November 2015 she led the National League for Democracy to seeping victory in the country’s first openly contested election in 25 years. The new chapter for the Secretariat is its restoration which is now underway on a grand scale and will see it become the cultural epicentre of Yangon. Formerly the home of administration during British colonial rule and later for Burma’s independent government, the magnificent Secretariat complex was fully completed in 1905 and sprawls 6.5 hectares (16 acres) across an entire city block in downtown Yangon. An earthquake in 1930 laid many of the Secretariat’s iconic features – including its turrets and central dome – to waste, and the building was left to fall into disrepair post-independence. Two Cummins generator sets have been installed by the joint venture business, Cummins DKSH Myanmar, as part of the restoration project. The standby generator sets are a 550 kVA unit powered by Cummins’ QSX15, and a 1400 kVA unit powered by Cummins’ KTA50. Restoration of the Secretariat to its former glory, under the guidance of Anawmar Art Group, historians, curators and Yangon Heritage Trust, is scheduled to be fully completed in 2020-21 and will feature museums, galleries and cultural event spaces.